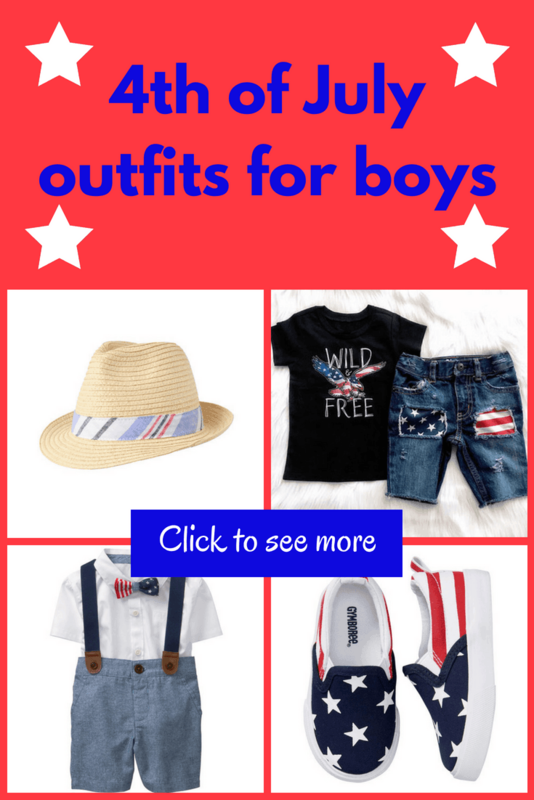 Looking for a festive outfit for your handsome boy to celebrate the 4th of July? I’ve scoured the internet and found the cutest of the cute outfits out there for little boys. 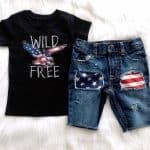 If you have a little girl see girls fourth of July outfits. This post contains affiliate links. If you make a purchase through one of these links I may receive a commission at no additional cost to you. Keep it simple with this 4th of July themed shirt. Or grab one of these personalized 4th of July shirts. I love this outfit from Etsy! You can grab just the shirt or the entire outfit. 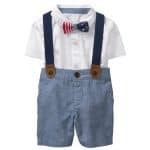 Any little boy would look dapper in this cute suspender set. Complete with an American Flag themed tie! 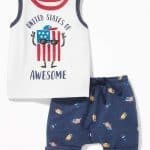 This outfit from Old Navy reads “United States of Awesome“. Cool but stylish for any party! Looking for a cute accessory for your baby boys outfit? How about some patriotic shoes?! 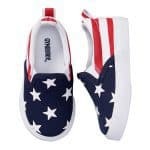 These American Flag shoes would go great with any 4th of July outfit. 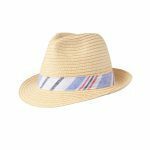 Top off any outfit with this cute hat. Keep the sun off your child while you enjoy those 4th of July BBQs! Hope you have a wonderful 4th of July celebration and don’t be afraid to drop a photo of your little one in their patriotic attire in the comments. 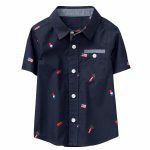 Love looking at cute kid clothes? Be sure to follow my Kid Clothes board on Pinterest! Make sure you have everything you need to keep your baby safe in the sun. Check out my list of summer essentials.